President John F. Kennedy’s dedication Gifford Pinchot Institute at Grey Towers in September 1963. 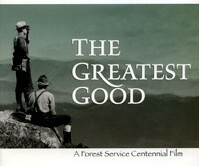 The Video below has been made available by the US Forest Service and Grey Towers Heritage Association. Currently, we are offering a 5-minute video showing scenes from the celebration in September, 1963 when President John F. Kennedy accepted the gift from the Pinchot Family, of the Grey Towers estate, to the United States Forest Service.